The Carolina RailHawks (professional soccer team in the North American Soccer League and based in Cary, N.C.) will offer Kupono Captain&apos;s Ale, a new craft beer brewed by Lonerider Brewing Company, at WakeMed Soccer Park for the 2015 North American Soccer League (NASL) season, beginning with the regular season home opener against Ottawa Fury FC on Sat., Apr. 4, at 1pm. "Having a RailHawks-branded beer named after me is an honor," said Kupono Low. "I feel very grateful to be considered such a significant part of the organization." Kupono Captain&apos;s Ale (4.6 percent ABV) is an American Blonde Ale, light bodied and brewed to be enjoyed during hot summer evenings at a match, or any time. The new RailHawks-branded beer pours clear and golden in color. The flavor is clean and crisp with very little aftertaste. Bitterness levels are very low, with a hint of hop flavor. Amarillo hops are used late in the brewing process to brighten and crisp the beer up. Lonerider recommends drinking Kupono Captain&apos;s Ale from a pint glass or stadium cup and served cold, around 38 to 42 degrees Fahrenheit. 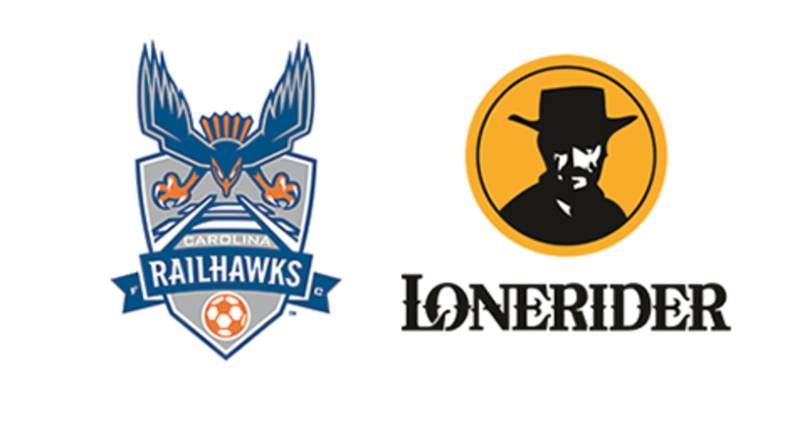 "Lonerider Brewing Company have been fantastic partners of the RailHawks for many years and they are passionate about soccer. I can think of no better way to launch the new RailHawks beer than by naming it after Kupono and having a portion of the proceeds go to Kupono and his favorite charity," said RailHawks President Curt Johnson. "He has come to be known as Mr. RailHawk and will forever be one of the key figures in the growth of professional soccer in North Carolina." 10 percent of the RailHawks proceeds from the sale of its new Kupono Captain&apos;s Ale beer will go to Kupono Low and the Fill Your Bucket List Foundation. The Fill Your Bucket List Foundation is a [Greater Raleigh area]-based 501c3 non-profit organization created to support adults with cancer by making a wish or dream come true. Similar to The Make-a-Wish Foundation for children, the Fill Your Bucket List Foundation grants adults (21+) with cancer the financial support to create lasting memories with the people they love. "The Fill Your Bucket List Foundation sent a mother and her child last year on a cruise vacation to Puerto Rico. That was the foundation&apos;s first charitable event and being part of that experience felt wonderful," added Low. Kupono Captain&apos;s Ale will be available at all RailHawks 2015 home games, as well as selected retail outlets. The RailHawks will open the 2015 Season at home against Ottawa Fury FC on Sat., Apr. 4 at 1pm. RailHawks 2015 Individual Game Tickets and Ticket Packages are currently on sale and can be purchased by calling the Johnson Maserati Box Office at 919.459.8144 by clicking here. Individual game tickets start as low as $11. For more information on Season Tickets and Flex Plans, visit www.carolinarailhawks.com. Keep up with all RailHawks news by following them on Twitter, Facebook or Instagram. The Carolina RailHawks are a professional soccer team based in Cary, N.C. They compete in the North American Soccer League, and play home matches at WakeMed Soccer Park.